First Congregational UCC is a mission-oriented church. We participate in many local projects to serve our neighbors. Especially in the area of serving the hungry and homeless, we often open our church or team up with other faith communities to bring friendship and stability for those in crisis. Other special projects take place on a frequent basis! Someone in the church has an idea; it is shared and embraced; new ministry is offered; great friends are made. Come and be part of our exciting effort to serve God’s people wherever they are. Two-Cents-a-Meal Offering - On the second Sunday of each month, we collect our Two-Cents-a-Meal offering during the last hymn of worship. The idea is to count the number of meals you eat during a month (around 90 for most of us) and donate two cents for each of those meals ($1.80). The money collected is used to keep a supply of healthy, shelf-stable bag lunches for anyone coming to the church asking for food. The donation is voluntary and the amount is a suggestion. This is a simple way to direct our thoughts to our own eating patterns and to how different those patterns are for some in our community. Christmas Baskets - The Christmas Basket project is always strongly supported by our church. Throughout November and December, we collect names of families in need of food for a Christmas dinner. The families are sponsored by members of the congregation who deliver baskets of dinner items, staples, and gifts for the children. Backpack School Program - We partner with W. L. Henry school in Hillsboro to help provide food for the neediest of our children. The food is sent home in backpacks on Friday afternoons. Children receiving the food depend on free breakfast and lunch subsidies during the school week. This Hillsboro effort is part of a national program which strives to make a difference in the lives of undernourished children. Keep Them Warm - We run an annual collection of coats, blankets, and other warm items and donate them to local organizations such as Centro Cultural and the Inukai Family Boys and Girls Club. Interfaith Committee on Homelessness - Includes representation from our church to seek systemic solutions to the problems which cause and prolong homelessness. Refugee Sponsorship - In the past, we have sponsored a couple from Iraq, a Baha’i family from Iran, and a Muslim family from Bosnia. We partner with Hillsboro Christian Church in a rotation of churches sheltering homeless families with children for one week, every other month. Volunteers from our church cook and serve dinner and spend the night with the families. A winter shelter housed at Sonrise Church and staffed by volunteers from several area churches, including ours. As part of our commitment as an Immigrant Welcoming congregation, we work in partnership with immigrant justice organizations such as IMIrJ. We host gatherings and have participated in IMIrJ's Interfaith Advocacy Day as they focus on passing legislation to put Oregon at the forefront of immigrant justice. 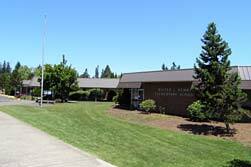 A school-based food pantry in partnership with the Oregon Food Bank. In addition to our financial support, members of our congregation volunteer to staff and organize the food bank. HomePlate supports the positive development of young people experiencing homelessness or housing instability through community building, education, access to services and resources, and youth empowerment. 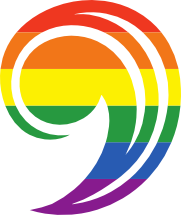 Hillsboro UCC was a member of the original steering committee and became the first host site for the weekly drop-in program. We continue to host HomePlate's Thursday night drop-in, which provides a hot meal, showers, and resources to youth. 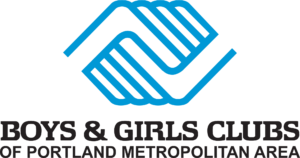 Hillsboro's Inukai Family Boys and Girls Club provides after-school tutoring and activities for school-age children and maintains Washington County's only free clothes closet. Defensa de la Dignidad is a legal defense advocacy organization that provides non-documented immigrants with legal assistance. In the past we have partnered with other UCC congregations to build a house for a family in need.